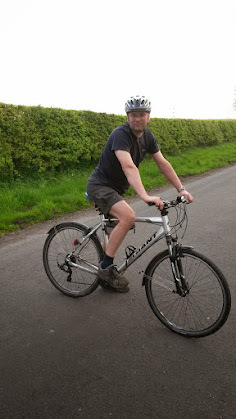 It was such a lovely evening that we decided to go out on the bikes. 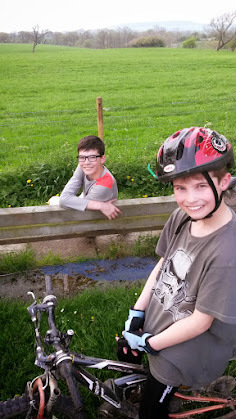 We did lots of cycling last year but haven't really been out much recently but now the lighter nights are here we can get out more. Luke is now too big for the tag along so we need to do lots of rides to get him more confident on the road. 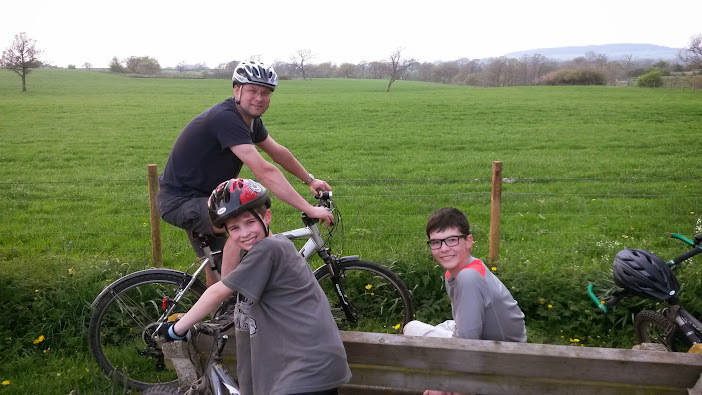 We only did a short route and Luke was doing really well so Mark suggested a spot of "off roading" to make the ride longer. Luke had only wanted to do a quick ride but when "off roading" was mentioned he was really keen. It was good to get out and hopefully we will manage a few rides each week and a longer one at weekends.